Andy here with the fifth and final show of the opening week! 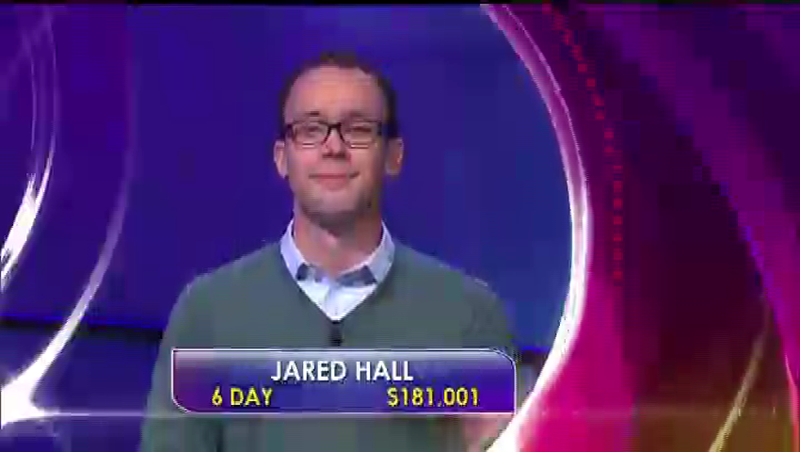 Matt Volk and and Kellie Chan are the challengers for Jared today – will Jared Hall make it 7? Jared claims to have improved his wagering strategy over the summer break. I wonder what he decided to go with? Probably the Archive’s Wagering Calculator. Jared bet $3,000. His clue: At age 97 in 2012, quite a few years after his bestseller “The Caine Mutiny”, he came out with “The Lawgiver”. – Jared went for John Grisham and fell to $3,800 as the end-of-round signal went. HOW’D THEY MAKE THEIR MONEY? 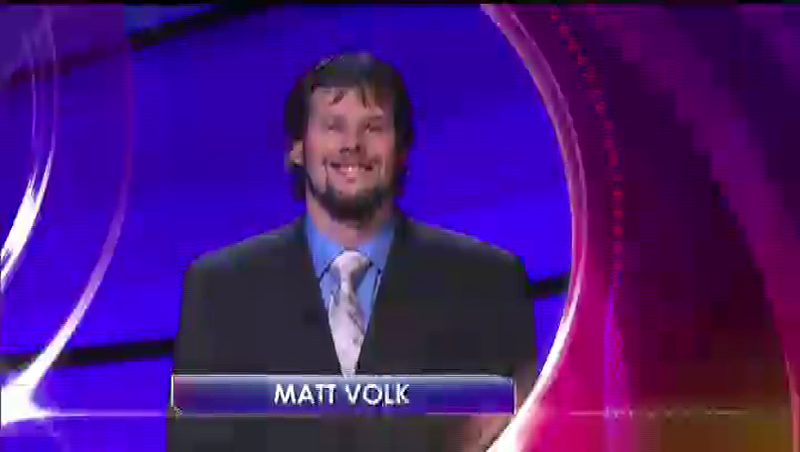 Matt had very good luck in HOW’D THEY MAKE THEIR MONEY? and jumped out to a big lead by the end of it! Glad the Daily Double wasn’t there (for my sake). HITS & MISSES was a good category for me; I went 5-for-5. The first Daily Double came in at SAN ANTONIO $1600; it was Matt’s, at the end of a “sensational roll”. Matt bet $1,000. His clue: The city thrived as the starting point for this trail, named for a trader, that sent cattle up to Abilene, Kansas. 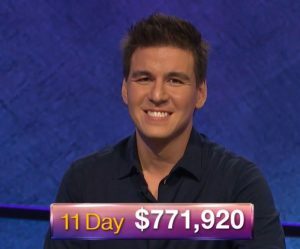 He pronounced the L, but he got credit for it, bringing his score to $18,200. She bet $2,000. Her clue: Since the 1940s, it’s been bringing Uncle Sam’s point of view to radio listeners worldwide. Her correct response put her at $4,400 as the end-of-round signal sounded. Honestly? I just Jared just ran out of gas! 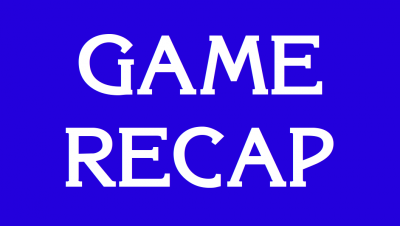 Matt is now the champ; Jeanie will be back next Monday with the recap of his defense!